This memoir of an odd thing that happened in the early 1970s is similar to the first edition but has a new cover and includes a few more stories, photographs and names from the ‘seventies that have floated to the surface. It compliments StudioCanal’s 40th Anniversary DVD and Blu-ray and makes a good present for anyone who has grown up watching the 1974 film. Sophie hopes to be signing copies at events around the country this summer. 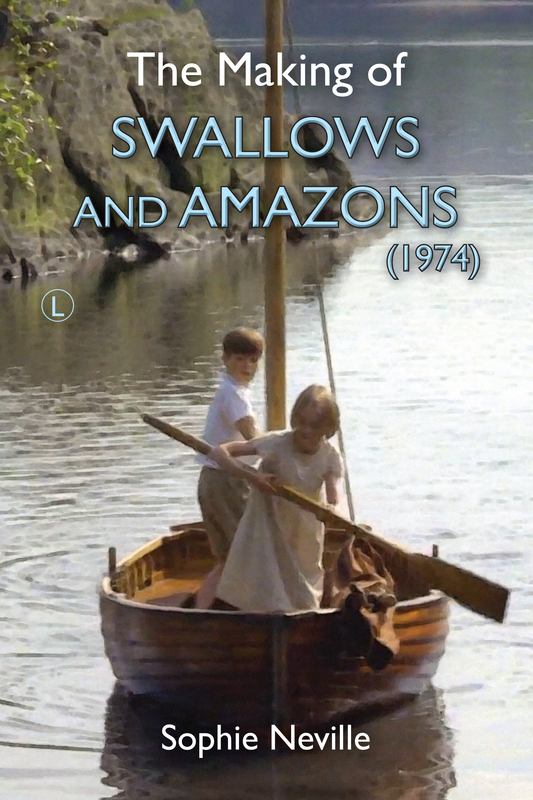 Last weekend Sophie was signing copies of her books at the Tavistock Festival and gave a talk at the Roseland Festival in St Mawes before a screening of ‘Swallows and Amazons’ (1974) on Sunday evening at the lovely Hotel Tresanton cinema. We are hoping copies of the 2nd Edition will be available by Saturday 13th May when Sophie will be opening the Arthur Ransome Pin Mill Jamboree in Suffolk, to celebrate the 20th Anniversary of the Nancy Blackett Trust and Visit England’s Year of Literary Heroes. As we Discover the Land of Literary Greats, Sophie will be giving a talk on the adaptations of Ransome’s books set in East Anglia and the English Lake District.